“We can’t recommend Castile Construction enough. 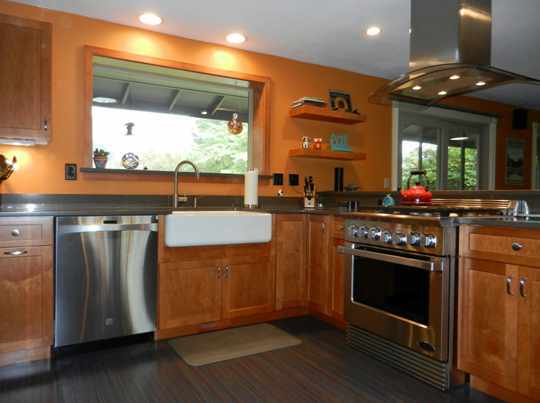 Forrest’s team converted our kitchen from a cramped, poorly designed space to an open, bright masterpiece. Forrest was integral in the design stage of the project — taking our general idea of what we wanted to accomplish and vastly improving it. What I didn’t expect when choosing a contractor was the level of commitment Forrest gave to our project. He met with us at the cabinet store, the counter top store, the tile store, etc., often with his infant daughter in tow, just in case we had questions or wanted suggestions on materials. Once the decisions were made, we felt like we had come up with the best design possible. The most reassuring part was yet to come. Forrest’s crew and the sub-contractors he works with are all outstanding in their abilities, and wonderful people to have working in our house. As a perfectionist myself, it was very comforting to see Forrest’s crew work. His lead contractor is incredibly skilled and puts so much attention to detail that he’s got to be one of the best, if not the best in town. He too is as committed as Forrest — he even showed up to our house a Saturday just to put in the oven so we wouldn’t have to wait until the following Monday to be able to cook! Forrest is also your advocate in dealing with sub-contractors. We had an issue where the counter top back splash was not snug with the wall. Forrest demanded that the installer’s boss himself return with new materials and redo the back splash at no additional cost. He’s definitely someone you want leading your remodel! Of course the cost of a project is one of the more important factors in choosing a contractor. It’s important to know that the price Forrest presents is a bid, not an estimate. In other words, assuming no “surprises” are found, what he tells you the cost of the project will be is what the cost of the project will be. This is great for us the customer, especially given that Forrest and team are perfectionists. When they put in time and materials to change something that doesn’t look right, they don’t charge you extra. So not only do they create a “perfect” look, they do so for their own pride and reputation rather than to make a few extra bucks. In the end, we have the comfort of knowing there is nothing we’d change about our kitchen. If we didn’t like something, we weren’t hesitant about speaking up for fear that it would tack on additional cost. I assume the total cost of our project was on par or likely less than other contractors, yet for the quality of work compared with what’s out there, we feel extremely satisfied. Castile Construction is so proud of the above comments and welcomes you to see the many more customer testimonials here. 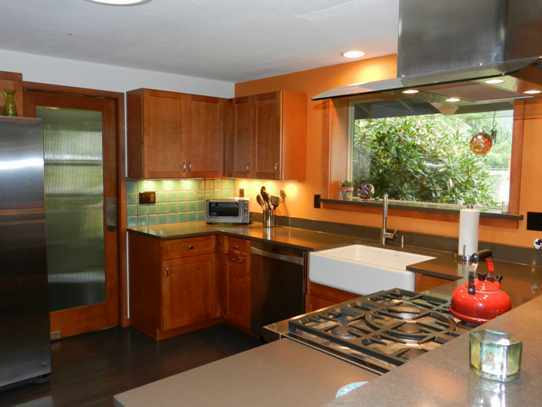 We also welcome you to review our Kitchen Remodeling Contractor services here.